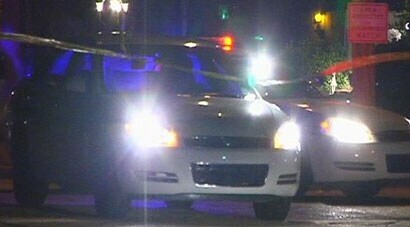 A home invasion and attempted robbery in Shreveport Sunday night ended with the teen intruder being fatally shot and the homeowner distraught over the teen’s poor choices, WAFB reports. The teen suspect, who was armed with a shotgun, barged into the woman’s home and demanded that she give him cash from a safe. The terrified woman led the teen to the safe, but little did he know that the safe was also where the woman store her gun. “And as I was unlocking the safe and I prayed to God to give me strength, to get through this, it’ll be me or him,” the woman, who did not wish to be identified, told reporters. 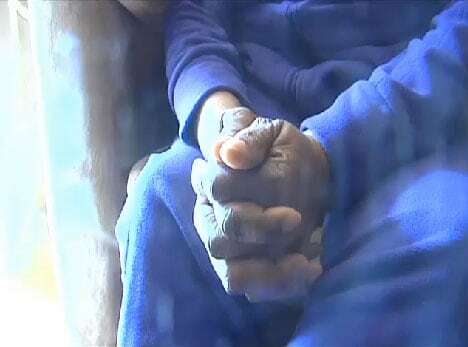 With a shotgun pointed directly at her, the 63-year-old great grandmother made a brave decision that would ultimately protect her as well as her granddaughter and great grandson who were also inside the home. “And I said here you go, and he let go of one hand off his gun, because it was pointed right at me, and reached for the bag of coins, and that’s when I fired my gun, and hit him with the first round,” recalled the woman, who had never fired a gun before and had no previous firearms training. Instinct just kicked in she said. After a brief struggle with the woman, the teen ran out of the house, but collapsed in front of a nearby house. When police arrived, the suspect, who was later identified as 16-year-old Devon Antonio Young, was transported to a local hospital where he was pronounced dead a short time later. “Fifty five dollars in coins, and he lost his life,” the tear-filled great grandmother told reporters, adding that her heart goes out to the teen’s family. She never intended to kill the boy she said, but was left with no choice. During the investigation, police discovered that this was the second time Young had robbed the same woman. He had broken into the house just two weeks prior to the fatal shooting and had stolen her gun and cash. However, the woman bought another gun. Police didn’t say whether Young was armed during the first robbery. Nonetheless, the woman is still upset over the teen’s death. She simply wishes that young kids would make better decisions before turning to a life of crime. “Go and get you an education and get you a good job so you can buy what you want. Don’t try to take from somebody who has worked all their life,” she said. Crichton encourages parents to get involved in their teens lives. “My thought all along has been an ounce of prevention is worth a pound of cure. Parents need to be involved with their kids every day. Let’s talk about school. Let’s talk about friends, let’s talk about events in your life,” he says. Crichton has become proactive in helping troubled teens and their families by heading up a program called “Don’t Let This Be You.” The program’s goal is to “illustrate that serious legal consequences can result from of a teenager’s criminal behavior” and includes a powerful presentation as well as an up close and personal “visit” to a correctional facility to demonstrate what lies ahead for teens turning to a life of crime. Apparently the program has seen success, too. Retired Shreveport police officer Bill Wilson put his son, Connor, through the program and the once troubled teen has now turned his life around. “We all make bad mistakes,” Wilson said. “I thought he was getting into a bad crowd.” He admits that his son didn’t want to be in the program. “Adolescences these days love their freedom and once he heard those doors close, there was no getting out. More of them need to go, when they hear that metal door clang,” he added. Connor is no longer hanging out with the wrong crowd and has a job now, Wilson said.